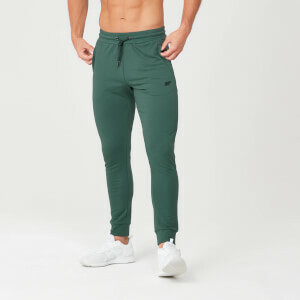 Great sweats I would recommend but...... at the time of right now they only have 3 sizes, unfortunately not my size and maybe not yours. I bought 1 pair and they’re be best I was going to buy more can you guys please restock size medium! Great fit and very comfortable. The zips at the bottom are good let air flow in too when it's hot. Definitely recommend and good quality for the price. One of the best joggers I have ever bought. The fabric is super soft and the fit was spot on, nice and snug. 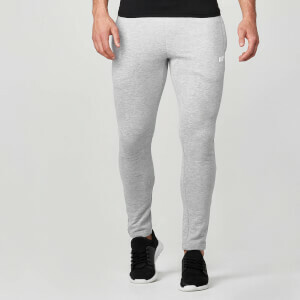 This product is very comfortable and has a nice fit, hugs the legs but not too much. They do cause you to get quite warm quite quick due to the material but in the cold English weather that isn't a bad thing! Would defitnely recommend. These joggers are comfortable. Whether you're walking around the house or even walking to the gym (even at the gym). They will keep you warm and comfortable. Soft to the touch. They feel as though they should be thick but are surprisingly thin. Stretchy enough to be doing all sorts of fitness. Good thick and comfy material as well as zip pockets. For the price what more could you want. Lovely tight fit that doesn't inhibit a workout. I'm 6ft 1ins with 33/34 and size L fits perfectly. Washed several times and no problems. Great value.